DeepVeer's Love For *This* Fashion Brand Is As Eternal As Their Love For Each Other! 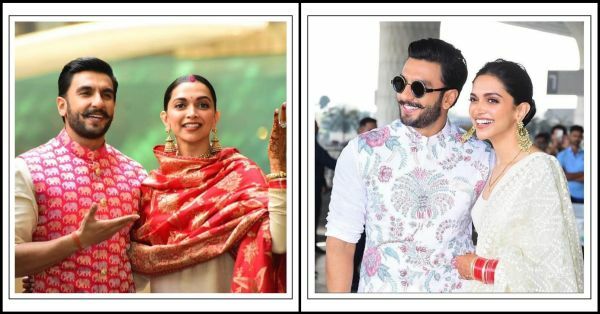 Since Deepika Padukone and Ranveer Singh announced their wedding, the whole country has been speculating what the most stylish couple of Bollywood is going to wear as bride and groom. And since DeepVeer got married, their looks have been Sabyasachi head-to-toe. Not just on the wedding day but everywhere else as well. Even their airport looks are pure Sabya. This just in, DeepVeer are off to Bengaluru for their first wedding reception happening tomorrow in Deepika's hometown and their pictures from the Mumbai airport are just as magical as their wedding pics thanks to the fashion maestro, Sabyasachi Mukherjee. 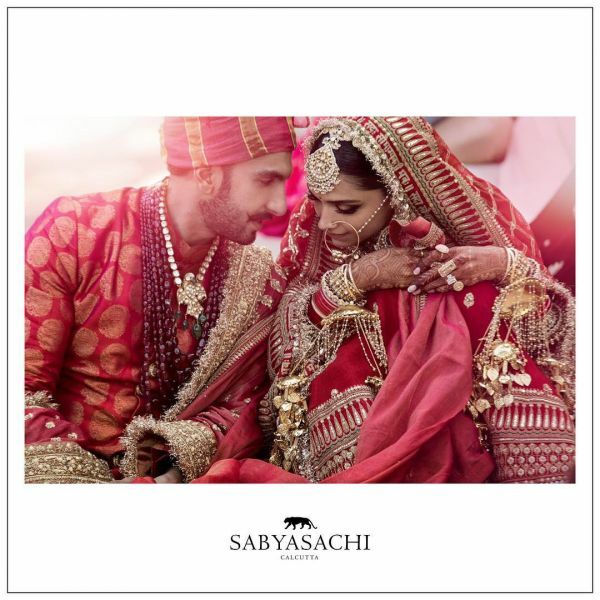 Sabyasachi just posted this picture of the newlyweds and they are going Team Sabya for all their wedding function and non-wedding functions. They are wearing Sabyasachi at the airport for God's sake! While Ranveer wore a crisp white kurta-pyjama with a printed Nehru jacket, Deepika wore a cream coloured solid anarkali suit with a heavily embroidered dupatta. The couple who is usually seen in sporty sneakers while travelling wore traditional Sabya juttis to go with their ethnic attires. Getting into the details, Ranveer completed his look with black round sunglasses with a gold rim - so extra and so Ranveer - although, we are not sure if these are by Sabya too. Deepika, on the other hand, was seen in a pair of statement danglers in gold and her chooda by Raabta by Rahul Luthra. We finally got a closer look at Deepika's mangalsutra. 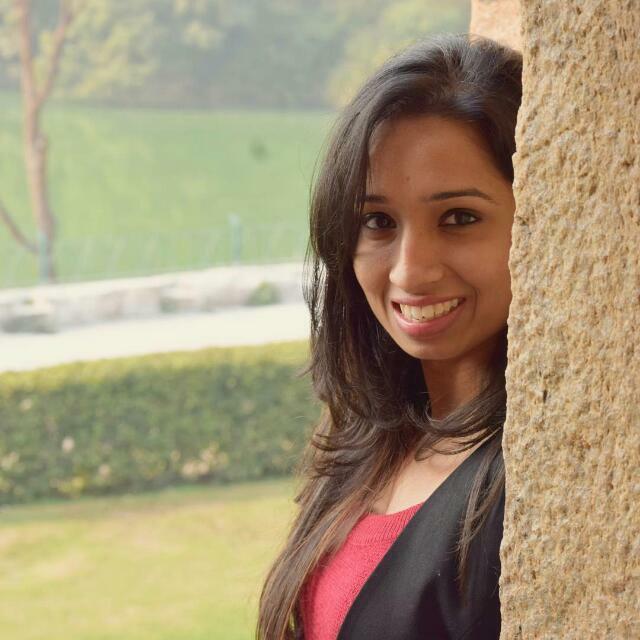 This diamond studded gold and black mangalsutra looks minimal yet anything but basic. It has the right balance of a traditional mangalsutra with an elegant modern touch. We are impressed! The details on Ranveer's Nehru jacket and Deepika's dupatta look so real and surreal! It is known to all that DeepVeer trusted Sabyasachi for the most special day of their lives and both their wedding outfits were by Sabya. Their first wedding ceremony that took place on 14th November, in a typical Konkani style pertaining to Deepika's culture. For this, Ranveer was dressed in a traditional white and gold Konkani poshak with dupatta and head jewellery. Deepika wore a muted-red and gold saree with extravagant mathapatti, jhumkas, and necklaces. Just when we thought they couldn't look any more breathtaking, they came out with their second wedding picture. The Anand Karaj, a Sikh wedding style, that took place the next day on 15th November, had the bride and groom in all-red outfits. Both wore Sabyasachi jewellery except for Deepika's kaleeras and chooda which were by Raabta by Rahul. But the hidden message on her dupatta stole the highlight, even from the giant engagement ring that's blinding us right in the eye. If you look closely, her dupatta has this mantra, 'Sadaa saubhagyawati bhava' engraved on it. What a chic way to add custom touches to your bridal lehenga! In fact, even on their way back to India from their no-media-just-family wedding at the romantic Lake Como, Deepika and Ranveer wore Sabyasachi attires. Ranveer, as usual, looked dapper in that pink and gold Nehru jacket and wife, Deepika, brought that new-bride-glow in a heavy red dupatta. Both were matching in beige for the auspicious occasion of griha pravesh into their new house in Mumbai. So much Sabya obsession, we tell you! 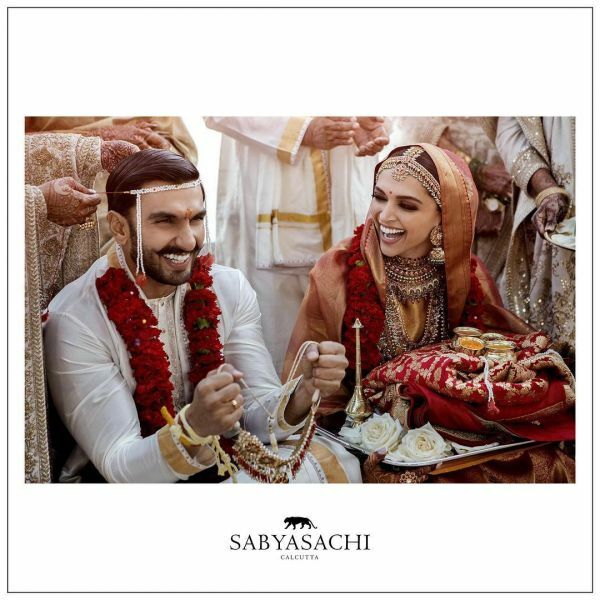 We suspect the couple is going to make public appearances in Sabyasachi couture only until the 28th of November when all their wedding functions will be officially concluded with a second (and final) wedding reception in Mumbai. We can't wait for it to be tomorrow already 'coz who doesn't love more DeepVeer pictures? !